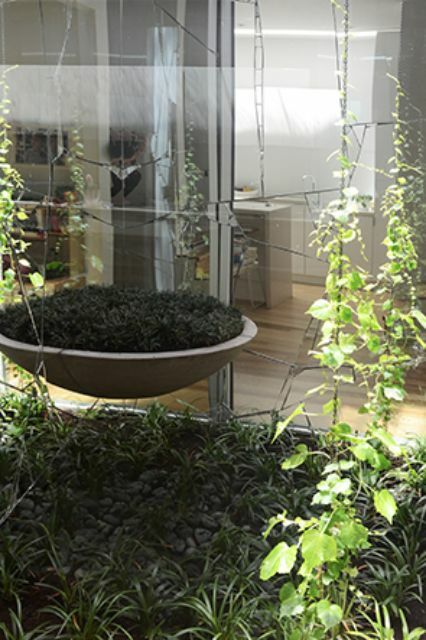 This small but intricate inner city garden has been designed by Gerard Butterss to appear larger than it actually is. As you enter the front door your eye is drawn to the bollards in the rear garden that appear to recede to an ‘imaginary space’ 10m beyond the existing boundary. The bollards are tall, of varying heights and look as if they have been there forever as they are old, weathered and pre-used. These tall stately vertical structures are offset by the curved garden beds giving an unusual vertical/horizontal juxtaposition. 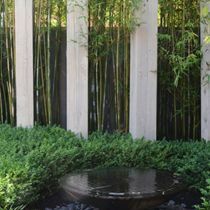 As the space is not large the plantings are mainly green, but there are small discrete areas of massed planting that provide colour and interest. 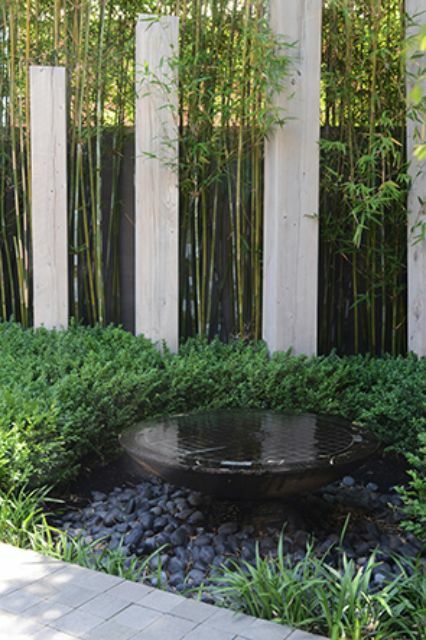 An eclectic selection of plants provide fruit, texture, tracery, and of course privacy. Within the garden there is space for children to play and to be seen by parents from within the house. 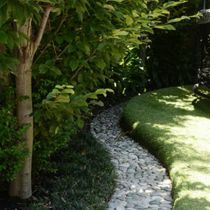 The flow from house to garden is an integral feature of the design. 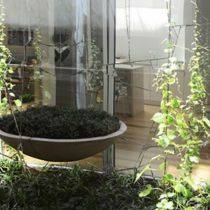 Within the house itself is a most unusual trompe l'oeil – a small glassed-in garden lightwell which uses mirrors to full advantage and encloses a bowl with shade-tolerant plants. It is beautifully executed and certainly gives a sense of fun! This is a great opportunity to see what can be done in inner city gardens and offers interest to young families and garden lovers alike. 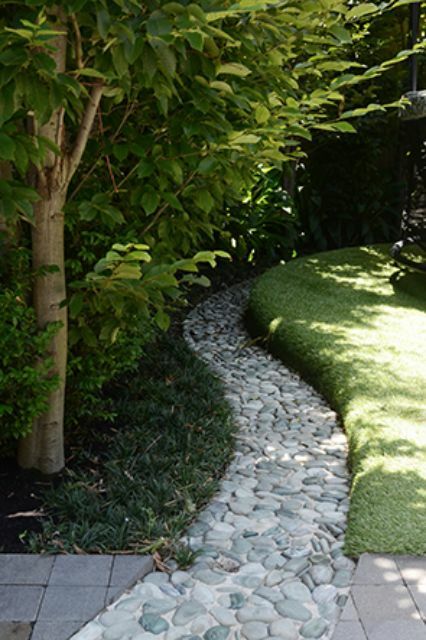 Landscape designer Gerard Butterss will be in the garden on Saturday to chat with visitors.